Approx. 2,220 - 2,370 sq.ft. 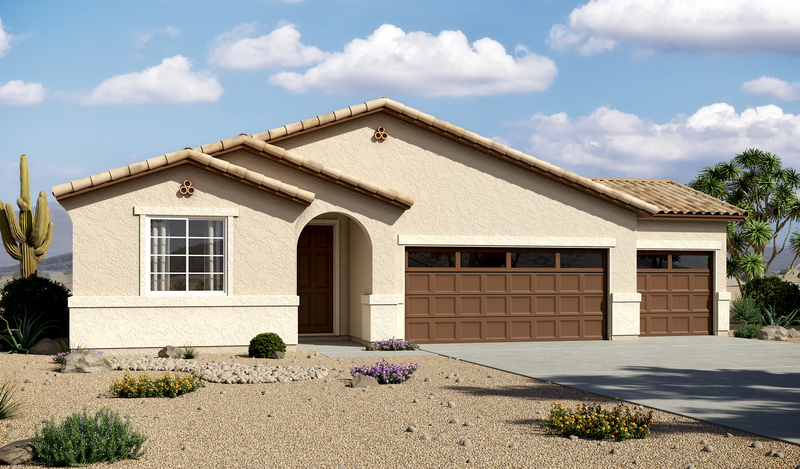 You'll find plenty to love about the Raleigh plan, a versatile ranch-style home with a number of personalization options. Located off the entryway, a spacious study can also be optioned as a dining room, an extra bedroom and even a guest suite with a full bath and walk-in closet. The center of the home boasts a large kitchen with a convenient center island and walk-in pantry. The kitchen flows into an open-concept dining room and great room, which offers direct access to an inviting covered patio. From the great room, you can also make your way to two secondary bedrooms, as well as a secluded master suite with a private bath and walk-in closet. 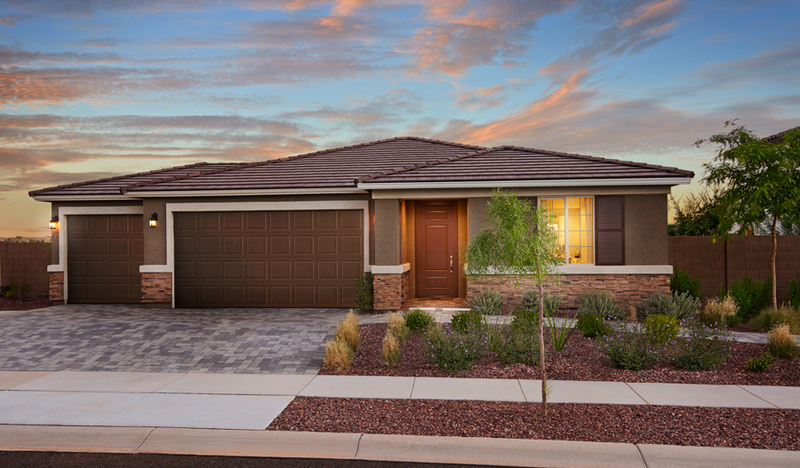 Additional options include a fifth bedroom in lieu of garage storage space, a gourmet kitchen with a butler's pantry or tech center, and two deluxe master bath layouts.